It has already been a full week since the New Year has begun. 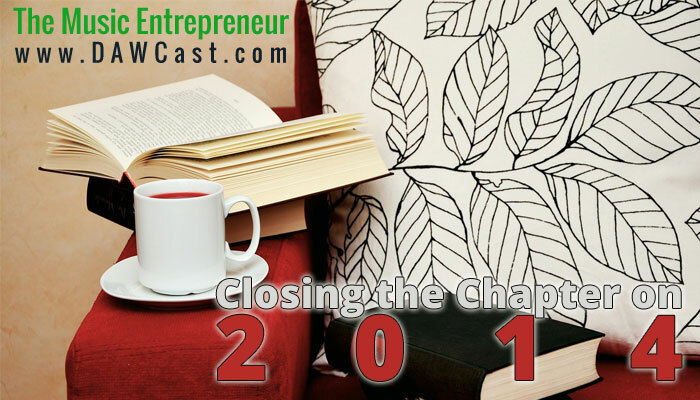 Have you been able to close the chapter on 2014 yet? If you haven’t, it’s important to leave the past in the past so you can focus on what’s ahead. Whether 2014 was a good year or a bad year, it doesn’t predetermine what 2015 can be for you. You can make this your best year yet. Here is another excellent interview via Jaime Tardy with Michael Hyatt. In this video, they are discussing the year 2014, but of course it’s just as relevant for 2015. The whole video is value-adding, but if you don’t have that much time, I would recommend starting at 14:39 and listening through to 18:07. I think it starts by acknowledging that you’ve got a blank canvass in front of you, and Tony Robbins says this – and I really like it – but your past does not equal your future. You know, whatever has happened last year or in previous years doesn’t have to determine the outcome that you’re going to experience in 2014. So realize that you’re standing in front of a blank canvass and the future is pregnant with possibility, and you can dream anything you want. …take people through a process of processing last year, because too often if we don’t close that chapter fully, if we don’t process it thoroughly, then we drag it into the next year, and it can really inhibit the results we could obtain if we processed it correctly. Do you have a process for closing the chapter on another year? I’ve given you the tools. I’ve alerted you to the importance of closing the chapter on 2014. I could have just stopped there. However, I wanted to give you some added value, so here are my candid answers to the seven questions. Remember, you’re not in this alone. 1. If the last year were a movie of your life, what would the genre be? Drama. It was a rollercoaster year, especially emotionally and financially. If my story were being retold, this would be the challenge part of it. Dipping and rising. I would suddenly get a huge influx of calls for work, and then I would hear nothing for a while. Then, the cycle would start all over again. It seems to have stabilized towards the end of the year. Financial challenges. I learned some important lessons, and had to start making some changes. I couldn’t go about doing things exactly the same way I had done them for the last two or three years. Releasing my first audio course. This was a huge win for The Music Entrepreneur in my mind. Redesigning and re-branding The Music Entrepreneur website. The site looks amazing, and has helped to build a lot of trust and credibility with my audience. Writing guest posts for Flypostr as well as Sessionville. Both have been received very well. Conducting a rather extensive outsourcing and marketing experiment. Crossing the 100 mark with my podcast episodes. Uploading 31 new videos to the AS Movies & Games YouTube channel. In particular, I thought that the Max Da Costa Drawing Time-Lapse video was pretty neat. Making a great video promoting the new audio course. 5. What disappointments or regrets did you experience this past year? Not being better prepared for an internship I initiated. Not asking out a girl I like. Not seeing more sales for the audio course. Relationships! I have found excellent friends in Sean, Maveen and Dustin (and there are plenty of others I appreciate but didn’t meet this year), but all in all I either didn’t initiate enough or just didn’t have as many like-minded people to hang around with. I want to be productive, but I want to make sure I’m sharing in the victories, blessings, and challenges too. Fun! Certainly, I did take advantage of being down in Spokane and played in the pool (unfortunately, it led to sunburns, heatstroke and dehydration too though; and I broke my glasses that day). I had the chance to play a few games, and there was one major get-together with old friends, but it either just wasn’t enough or wasn’t the right kind of fun. This year felt a little too serious. Of course, there were some financial constraints too. Don’t spend money you don’t have, even if it’s on your business. There are no guarantees that you will see a return on your investments, and many times they don’t come immediately. I hope that helps you to be just as ruthlessly honest with yourself as I was. Here’s wishing you an excellent 2015, and I will be praying that it will be one of your best years yet!